THE CIRCUS came to town at London’s Olympia once again, last Saturday. The venue famous for such events had two clowns telling us they were going to fight everybody and anybody in world boxing. Chris Eubank Snr and Jnr called out Billy Joe Saunders, James DeGale and Gennady Golovkin, to name just three, as they paraded the super-middleweight belt, claiming it as a world title. What a comedy show. We all know that is not a real world title – and hopefully the public didn’t fall for the con. And as for the names they were calling out? The father won’t step his son up against one of them. I read a quote last week when Eubank Snr was talking about Kell Brook taking on Golovkin – a match that he somehow failed to make for his boy. That is the way they think and that is why they will continue to serve up opponents for Junior to beat up rather than be tested by. Renold Quinlan was brave and put up a good effort, so I don’t want to knock him, but he was no world champion and Eubank Jnr looked like he has gone backwards in terms of development. He throws lots of nice shots and is super fit, but he is wide open to be hit and lacks a knockout punch. How many did he land cleanly before the referee stepped in to stop it? What disappointed me too was that some members of the national press bought into this and wrote they are the first British father and sonto be crowned world champions.I could stick Steve Collins’ son in for an any-old-made-up ‘world’ title and say they are the first Irish father and son to do it, but it would mean nothing as he’s nowhere near that level. I admit we had shows with Ricky Hatton as the main draw when he had the WBU belt, which is another joke ‘world’ title. But at least the Manchester man was in real fights against the likes of Irishman Eamonn Magee and Ben Tackie before he went and won a real world belt. 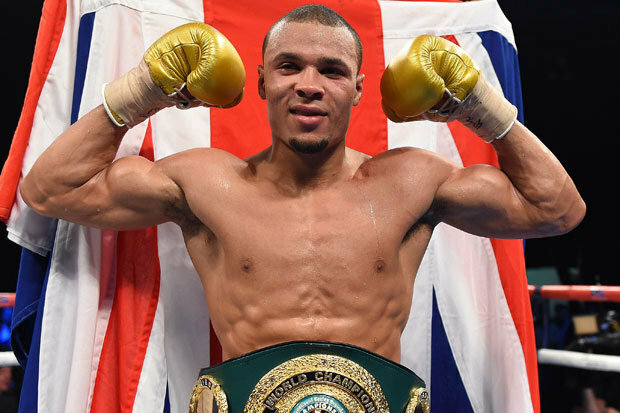 Don’t expect Eubank Jnr to step up and have a fight for a credible world title anytime soon – but the circus will roll on to the next town.